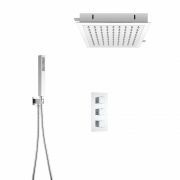 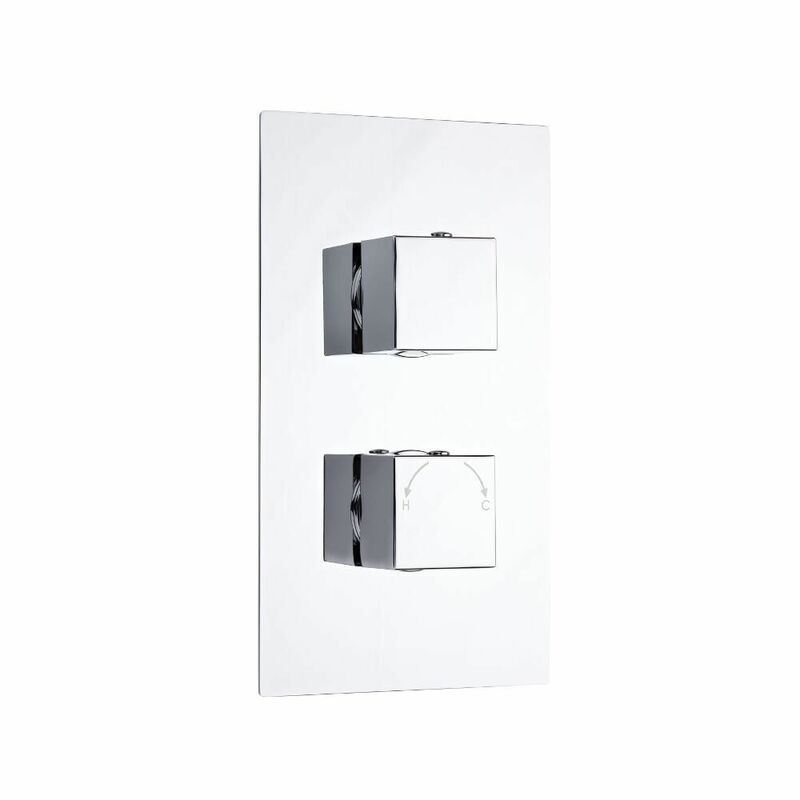 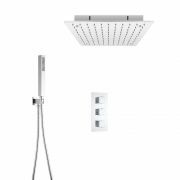 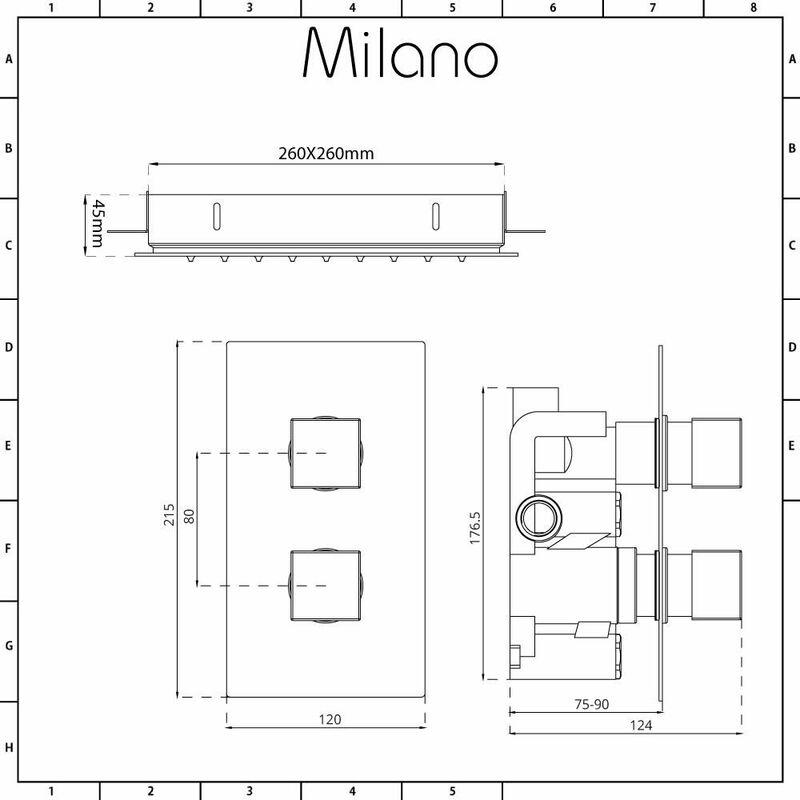 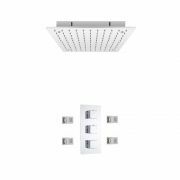 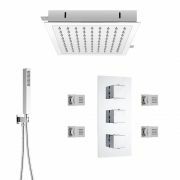 The Milano Arvo thermostatic shower valve and 280mm square ceiling tile shower head will add sleek, designer style to any bathroom. 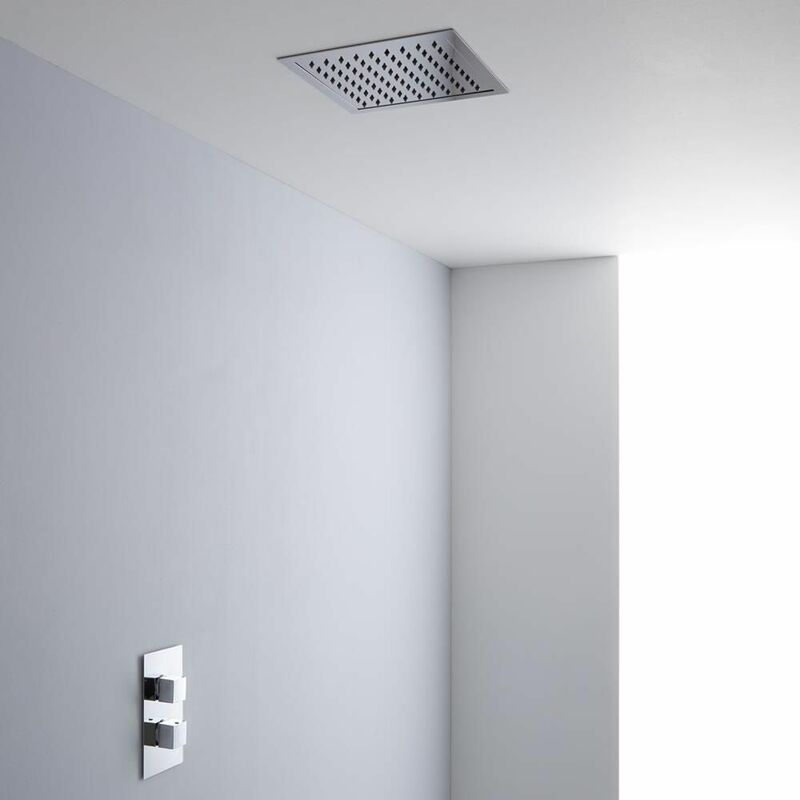 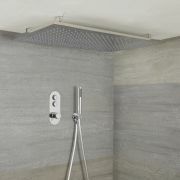 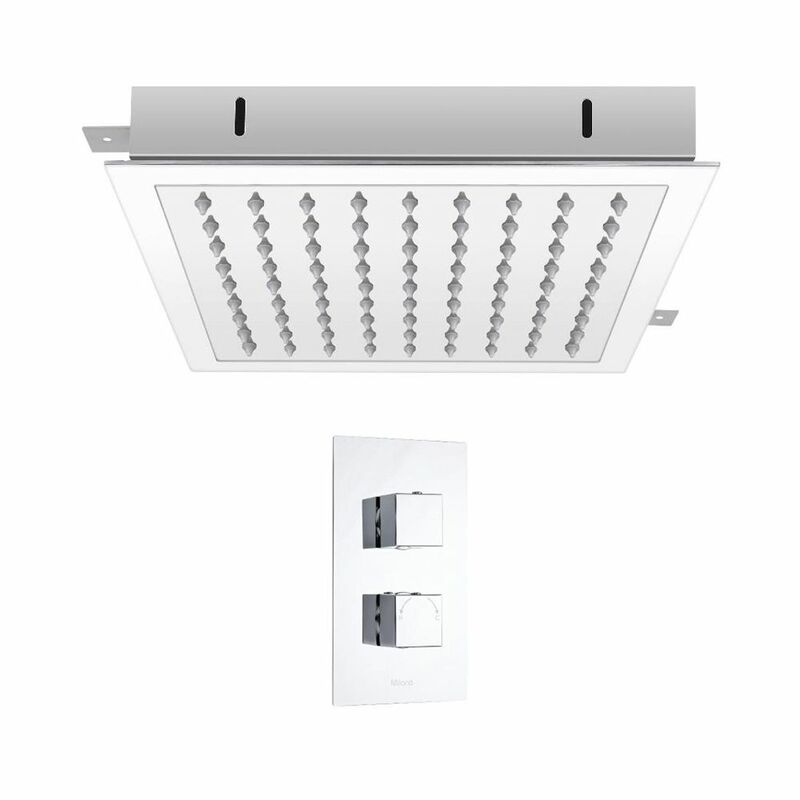 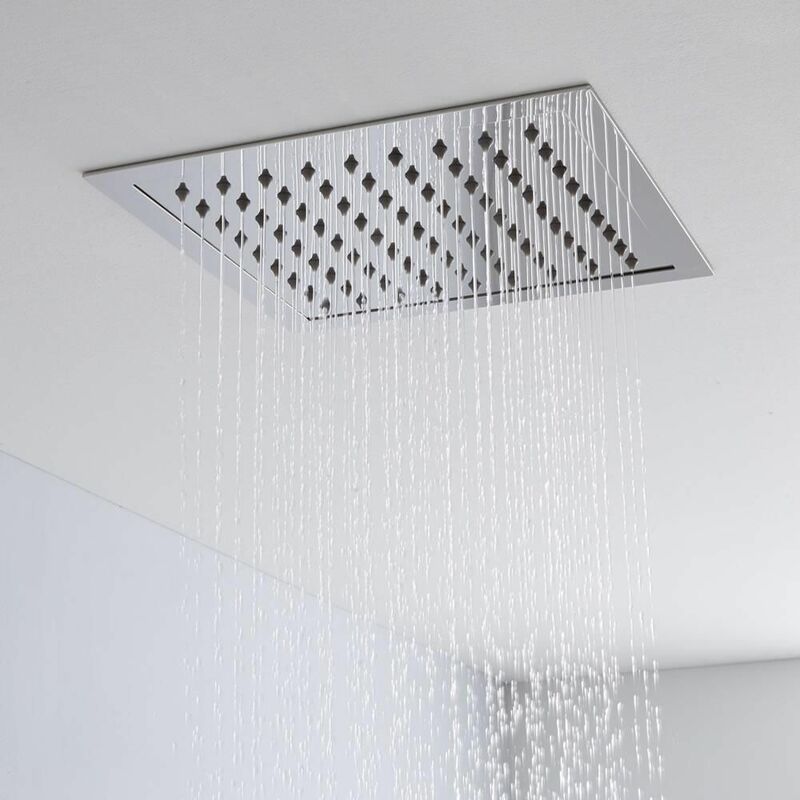 Made from stainless steel, the shower head has been designed to be fitted into the ceiling for a seamless look. 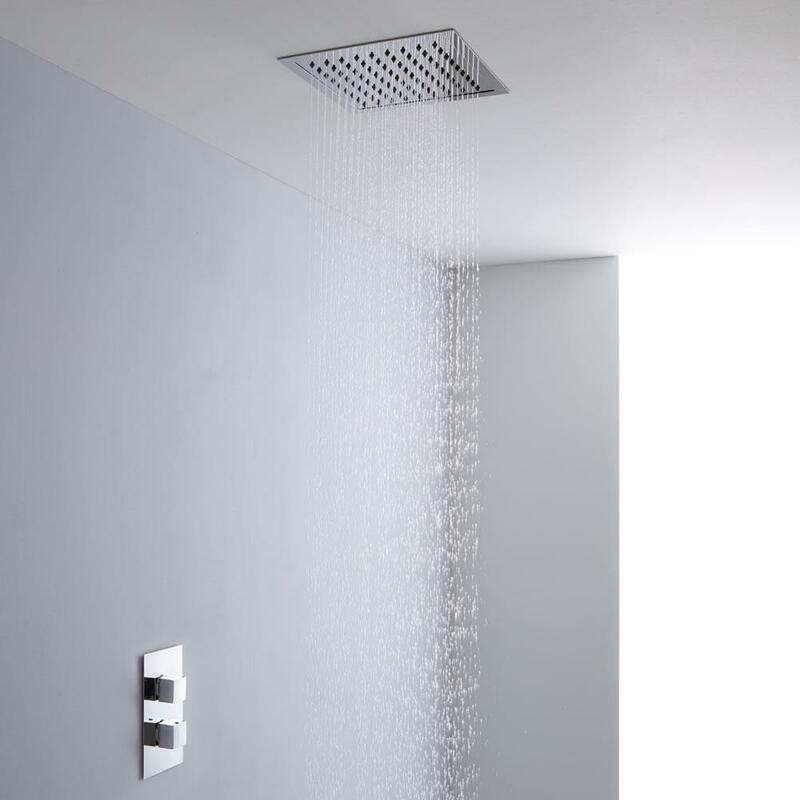 It delivers a rainfall effect that will leave you feeling awake and refreshed. 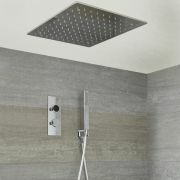 The solid brass thermostatic shower valve has a solid brass construction and a brilliant chrome finish. 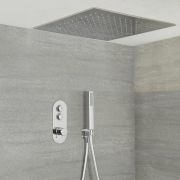 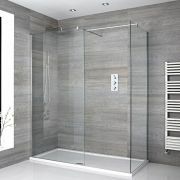 Compatible with all systems, it incorporates anti-scald technology to ensure a safer showering experience.